What happens when your dreams comes true–and turns out to be a nightmare? For most of her life, Danny Tozier struggled to survive, dealing with constant gender dysphoria in an abusive household. Now, even after receiving superpowers, transitioning into a body that fits her gender expression, and newfound celebrity, Danny’s problems are far from over. April Daniels’ Sovereign is a follow-up to her debut novel, Dreadnought. The new book continues Danny’s adventures. After nine months of superhero action, Danny wrestles with PTSD. She often finds herself overcome by unchecked aggression, and she sometimes makes problematic decisions while performing her superhero duties. Between her estrangement from her family and her inability to fully adjust to her new life, Danny also becomes estranged from her allies and friends. When a new villain comes into play, Danny’s life becomes even more complicated, forcing her to grapple with what it means to be a hero. Like Dreadnought, Sovereign is a well-crafted story, filled with charming characters and nerve-wracking narratives that keep the reader enthralled. The book’s strengths come from its multifaceted protagonist, Danny Tozier, who demonstrates vulnerability and resilience in a world that is often hostile, especially to those who diverge from cis-hetero norms. The books also expands on the strong relationships introduced in the first book, including Danny’s romantic connection with superhero Calamity (a.k.a Sarah Castillo), as well as new characters like Kinetiq, an Iranian-American genderqueer superhero. Though the story’s pacing is at times a little uneven, Daniels’ characters make up for it with their humor and heart, as well as providing fascinating examples of fictional villainy and real-life villainy in the form of transphobia and classism. 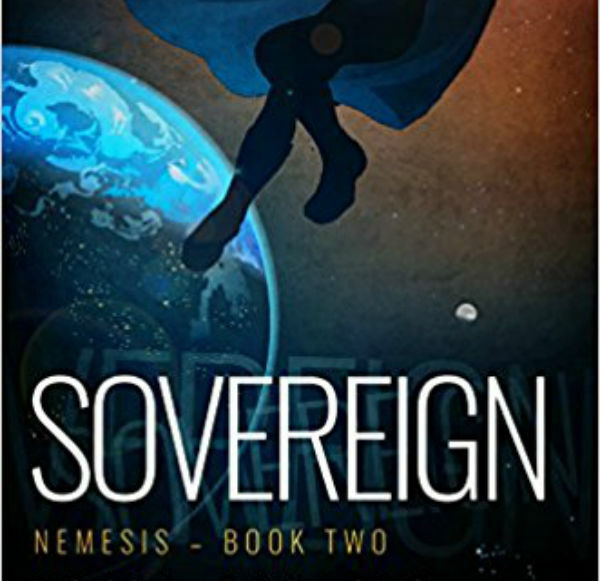 Both action packed and thoughtful, Sovereign is an exciting tale of bravery and fantasy, written as a love letter to queer kids looking for representation in speculative fiction. For fans of C.B. Lee’s Not Your Sidekick, Sovereign is a welcome addition to the growing queer superhero canon.